Apparently, summer is a dangerous time to be a teen driver. According to AAA, that’s when most teen driving fatalities occur. We have also entered the time of year when we start to see stories about children left in hot cars. It’s good to see technology in new vehicles that directly addresses these issues. I spent the last week driving the 2018 Chevrolet Traverse AWD Premier, and its passenger safety technology was impressive. The Traverse was delivered with the teen driver feature enabled, which includes a number of features designed to help teens learn safe driving habits. The teen driver settings are tied to key fobs, so when Mom and Dad use their keys, everything is normal, but when the teen key fob is used, there are restrictions. When teen drivers start the vehicle, they’re greeted with a message that the audio system is muted until all front-seat passengers’ seat belts are fastened. Parents can also set a limit on the audio system’s volume. Safety features like side blind zone alert, forward collision alert and forward automatic braking are enabled. Teens can be limited to driving no faster than 85 miles per hour, and parents can set audible and visual warnings to appear when the vehicle drives over a preselected speed. My Traverse was set to nag me when I drove over 65 miles per hour. The teen driver safety features are easy to set, and all of the teen driver preferences are protected by a PIN you can set yourself. Once you enter the PIN, you’ll have full control over the teen driver settings, and you’ll get to see a report card. The report card tells you how far the car has driven, the maximum speed driven, how many overspeed warnings were displayed, how many times the throttle was wide open, how many forward collision alerts were displayed, how many times the forward collision avoidance braking was invoked, plus a few other statistics. The report card page can be reset, like a trip odometer. 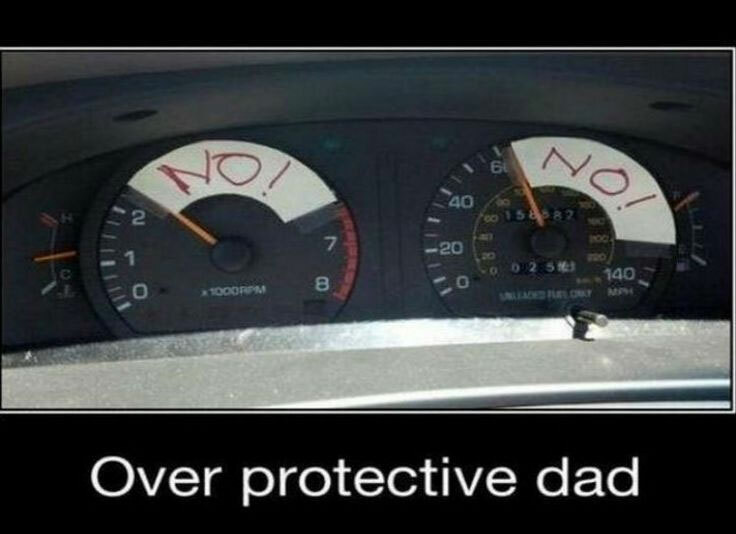 The teen driver’s combination of safety features can’t be overridden. When the driver delivered my Traverse, he went over all the teen driver features, including showing me how to set up a fob with the teen driver restrictions. I drove with the restrictions on for two days, then disabled it before we took the Traverse on a highway trip. As great as the teen driver feature is, I was more impressed by the rear seat reminder that is designed to monitor and alert the driver when anything is left in the back seats. It prompts you to check the back seat when you turn off the car. If you open either of the rear doors before or during your trip, you’ll see and hear a reminder to check the rear seat. I travel with a computer bag that I put on the back seat. I was glad to get the rear seat reminder to take it with me when I got out of the car. As of this year, all passenger vehicles sold in the United States are required to have backup cameras. Every time I drive a newer vehicle, I’m reminded of how much I wish my older Honda Fit had one. The Traverse has cameras on all sides that can show the view as you back up as well as when you’re moving forward (at very slow speeds). You can turn on the camera views from the touch screen. The side cameras are used in concert with the front and back cameras to stitch together a 360-degree bird’s-eye view from your vehicle. This was incredibly helpful in parking the Traverse, which is a big SUV. I never had to open a door to see whether I was over the lines of a parking spot. Also, the Traverse has a video screen inside the rearview mirror that can show you the view from the back camera even when you’re driving forward. The Traverse is not a self-driving car, but it does have features that will make you realize we are not that far away. The Traverse AWD Premier includes forward collision alert with automatic braking, lane departure warning and lane keep assist, which will physically steer the vehicle back toward the center of the lane if you drift over the line. There are cameras behind the rearview mirror that look for lane lines. When the lines are detected, you’ll see a small icon on your dashboard to tell you that lane keep assist is working. I tried it on the highway with no other cars around. I set the wheel to drift just a bit to the right, and as the wheels approached the lane line, the steering gently moved the car back toward the center of the lane. A warning (with beeping) appeared on the dash after a few seconds, asking me to resume steering, which I did. The Traverse can also tell you how far you are from the car in front of you while you drive. The Traverse’s OnStar entertainment system is robust. It includes AM/FM/SiriusXM and Bluetooth so you can stream music from your phone. There is a wireless phone charger in front of the shifter on the console. The Traverse has a USB port for every seat, and the second row of seating also has a 110-volt AC plug to power your gadgets. I was surprised that the Traverse didn’t have any rear seat entertainment screens, but perhaps phones and iPads have made those unnecessary. The vehicle had 4G LTE, which includes a Wi-Fi hotspot if you subscribe. The LTE connectivity brings a slew of cool features to the Traverse for users of the myChevrolet app. Owners can start and stop the engine remotely, lock and unlock the doors remotely and send addresses to the navigation system, as well as access Wi-Fi settings and set parking location reminders. The 2018 Traverse AWD Premier has an base price of $47,350, but with options like a sunroof and all-weather floor mats for all three seating rows, the sticker price of the vehicle I tested was $50,065. It seats seven passengers very comfortably, and all of the rear seats fold down for carrying a lot of cargo. The Traverse is powered by a 3.6L V-6 with a nine-speed automatic transmission. The first two rows of seats are heated, and the front seats are also air-conditioned. That was my favorite feature of all. Thanks for reading about Chevy teen drivers and the Chevrolet Traverse. Teen Driver. Nothing is more important than the safety of your family. That’s why Chevrolet offers Teen Driver, an available built-in system that helps you coach your new driver — even when you’re not there. It lets you set speed alerts, a volume limit and more; and with the industry’s first and only in-vehicle report card, it’s easy to track your teen’s driving performance. Studies show that teenage drivers are more likely to make poor decisions like speeding or not fastening their safety belts than adults. Teen Driver gives parents the tools to discuss and correct some of the possible mistakes they or their new drivers make on the road. About 93% of teen drivers play loud, distracting music behind the wheelTeen Driver has a number of safety features, from muting audio until front seat occupants are buckled, to automatically turning on available active safety technologies like Side Blind Zone Alert, Forward Collision Alert and Front Automatic Braking. The in-vehicle report card shows how your teen performs behind the wheel so you can identify potential problem areas and coach your new driver on improvements. To encourage safer driving habits, Chevy is the only car company to offer Teen Driver technology with an in-vehicle report on most of its models. For a complete list of models that feature Chevrolet Teen Driver please call our customer care team at 630-898-9630.